How many different species of British caterpillar are there? There are over 2,600 species of moths and butterflies in the British Isles alone. Worldwide there are likely to be hundreds of thousands. How many is uncertain as in many countries little is known about this early stage of a butterfly or moth’s life-cycle. The caterpillars of this large family of insects known as Lepidoptera can vary greatly in size, colour, shape, pattern and behaviour. Even the number, position and type of legs can vary between species and features such as this can help with identification. We welcome identification queries but please add information such as location/country and approximate size as outlined in the identification link. Some caterpillars of particular interest may feature in news and latest sightings and picture galleries with accreditation. 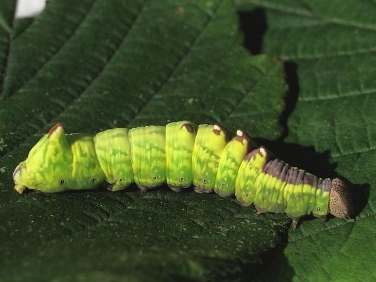 The galleries of Butterfly caterpillars, Moth caterpillars and Sawfly caterpillars contain images of many of the caterpillars most likely to be seen in the British Isles. Galleries for many other parts of the world are being added including North America, The United States and Canada, Africa and Asia. Many of the caterpillar photos received from abroad will be featured in galleries and latest sightings. This Introduction to rearing caterpillars and step by step guide on How to rear caterpillars of butterflies and moths has been added in response to the many questions asked. Although in general caterpillars are not a danger to our health there are some species of hairy caterpillars that can cause unpleasant skin irritation unless care is taken. 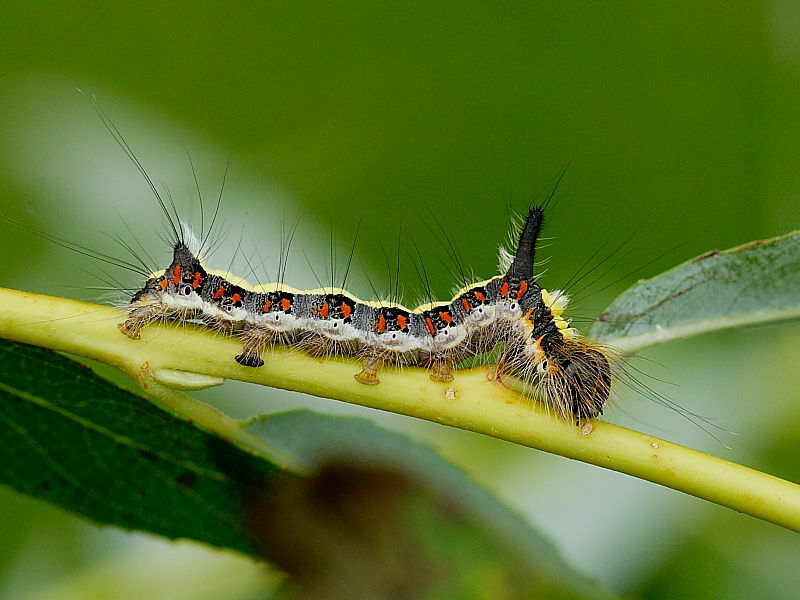 Certain species of caterpillars can at times become so prolific that they can cause significant damage to vegetable crops, garden shrubs and trees.